Ethicon’s Physiomesh is a flexible composite mesh patch that was used in operations to repair hernias. The product was voluntarily recalled in 2016 when independent studies found high rates of complications involving Physiomesh. Ethicon, a subsidiary of Johnson & Johnson, has produced several controversial products that are made from polypropylene, including Physiomesh. 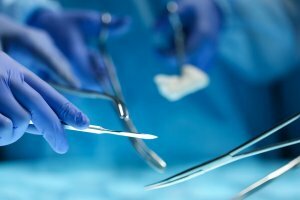 Many of these products, like transvaginal mesh and bladder slings, have been subjected to numerous lawsuits in the past, but Ethicon continued to produce and market surgical mesh made from the same materials. What Are The Risks With Hernia Mesh? Patients who underwent surgery to repair a hernia may have suffered one or more of these side-effects as the result of poorly designed mesh. In many of these cases, patients required additional surgeries, and they may have suffered permanent injuries. Cellino & Barnes is no longer taking new Ethicon Physiomesh cases. However, our team of attorneys are highly trained professionals who understand medical products and how they’re supposed to function. If you have any questions about Ethicon Physiomesh, call our team today. Cellino & Barnes is no longer accepting new Ethicon pelvic mesh cases.